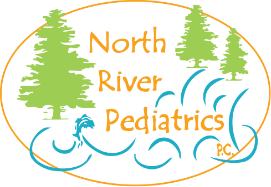 Welcome to North River Pediatrics - a privately owned practice located in Roseburg, OR. Founded in 2005, North River has evolved greatly in our 13 year history. We welcome the opportunity to be the medical home for your children. We offer comprehensive care for newborns through eighteen years of age. We are certified as a tier 3 Patient Centered Primary Care Medical Home by the state of Oregon. Recently, North River Pediatrics has focused on providing the best possible care to our patients through investments in healthcare technology including a new pediatric focused electronic medical record system with patient portal, enhancements to our vaccination program, and integration of advanced medical technology such as ocular photo screening and otoacoustic emissions testing. Please take some time to check out all the features of our new website, including extensive medical content to assist you in the care of your children!